GB: What sort of feedback have you received from the community since the release of Neverwinter Nights 2? RR: As with the release of any sequel there are positives and negatives. I think the biggest qualm that the customers have had was the beefy system requirements. Even the negative responses are from folks that want NWN2 to be a success and it is our goal to continue supporting it for these people. GB: Have the folks at BioWare expressed any opinions about the sequel? RR: They did ask for some copies, so that is a good thing. Bioware has always been supportive of Obsidian and we take their advice and opinions very seriously. GB: Have you been impressed by the NWN2 modules released by the community so far? RR: I am definitely impressed by some of the modules out there. We are taking in any issues they may have faced during creation and implementing new features into our patches so that future modders will have an easier time of it. GB: Are there any particular fan-made projects that have really caught your attention? RR: I wouldn't know where to begin. Sometimes I am really amazed at the creativity and time it must have taken to generate things we didn't know was even possible. One indivual addressed our water height over multiple tiles by basically making it a texture then putting the water effect on it. They were able make streams down mountains or have flowing lava from a volcano. It was awesome. GB: What are your plans for supporting NWN2 over the next month, year, and beyond? RR: Beyond. We don't have a set date but we are continuing to support the title and the fans that purchased this game. I know at the time of this writing we are putting up a patch right now, and working out the plans for the next two patches. GB: Aside from bug fixes, do you plan on adding any new content (equipment, feats, spells, etc.) in future patches? RR: We have been doing a bit of that already. It is mainly features though. I don't want to get expectations too high, but we are still creating content, now it is a matter of how and when we want to get it out there. 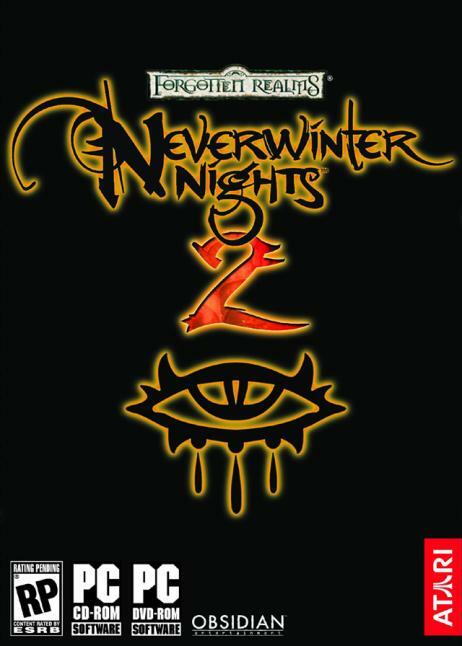 GB: Looking back, is there anything about the development of Neverwinter Nights 2 that you would have liked to change? RR: There are always things in development that people would have changed even on the most successful of titles. I personally wish I could have been on the title from its inception - I love watching the creation process. GB: Were you forced to remove features or cut any content due to cost or time constraints? RR: Yes... We make sad faces about it all the time. However, we are continuing to work on the game and its patches. We are addressing more and more of the features we wanted to ship with and fixing the OC a bit.